Great Himalayan National Park is a hikers and trekkers paradise close to Kullu and Manali, Himachal Pradesh, India. Trekking, camping, wildlife & culture tour, adventure activities are what you can do with us in and around the GHNP in a very safe and friendly atmosphere. 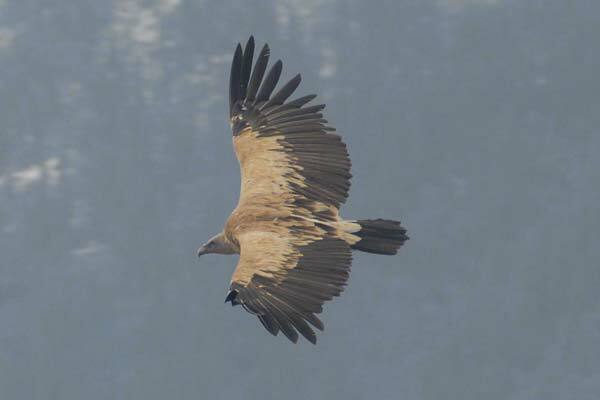 Great Himalayan National Park (GHNP) offers a stunning experience of the Himalayan range. 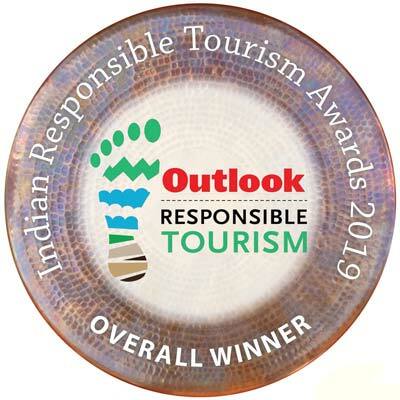 The landscapes are breathtaking, the ecosystems are well preserved and it shelters many ayurvedic plants and rare Himalayan animals like the Himalayan Black Bear, Himalayan Tahr, rare Himalayan Brown Bear, and the Phantom of the Mountains - the Snow Leopard. The colourful Western Tragopan (Jujurana) and the Monal Pheasant represent the birdlife. Trekking is the only way to enjoy and explore the Great Himalayan National Park. There are several trekking and hiking routes in the Great Himalayan National Park. A short 2 day trek is a gentle introduction to the park. 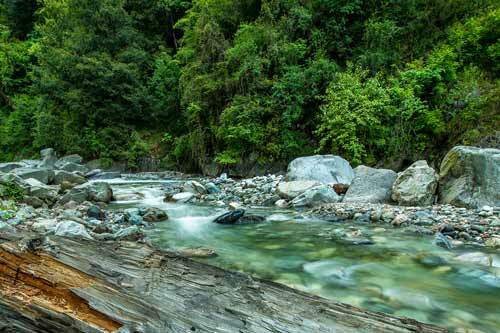 Longer treks of upto 8 days take you deep into the heart of the park to the source of rivers. 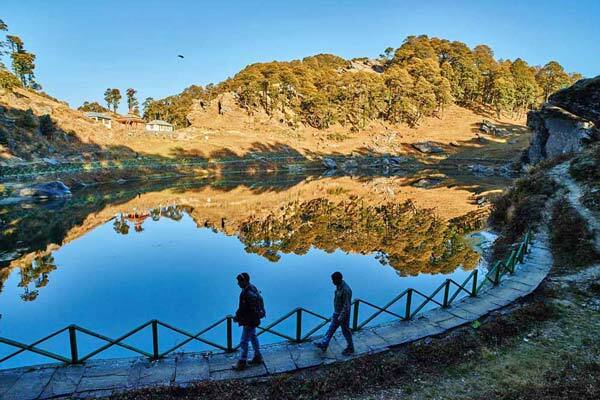 What to do in the Great Himalayan National Park ? Ready for a rush of adrenaline in a very safe environment ? You wish to have an outdoor camping experience without an effort ? Best time to visit Great Himalayan National Park GHNP is March, April, May, June, and then September, October and November. Avoid the winter months of December, January and February. GHNP receives heavy snowfall in winter. See best time to go to GHNP for temperature and rainfall charts for each month. Great Himalayan National Park is just 1.5 hours off the main Delhi-Chandigarh-Kullu-Manali-Leh road. There are regular overnight luxury buses from Delhi and Chandigarh to Kullu and Manali. Ask them to drop you at Aut town just after the tunnel. We can arrange a taxi to pick you up from Aut from where it is 1.5-hour to Gushiani - the starting point for treks to the Great Himalayan National Park. See how to get to GHNP for detailed information and maps for getting to GHNP. 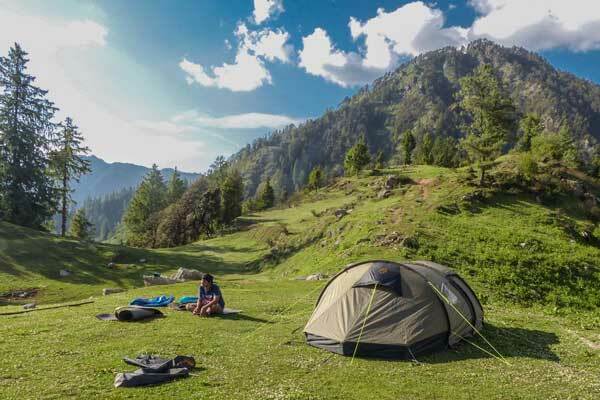 Great Himalayan National Park stay options are limited to tents! 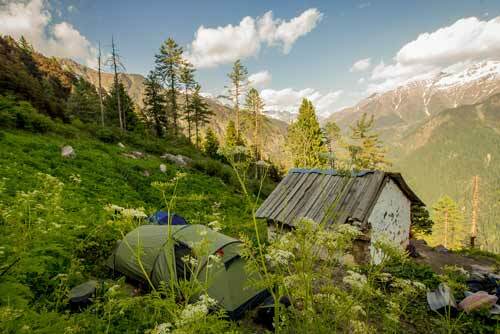 Himalayan Ecotourism has excellent quality imported light-weight European made tents with comfortable sleeping mats. The tents are carried by porters and you only have to carry your personal items. 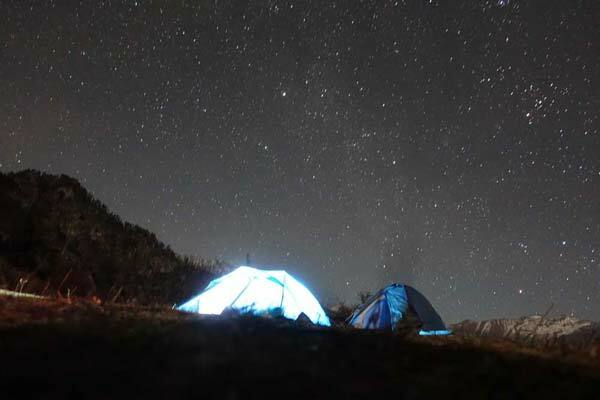 The tents are suitable for camping in the wilderness of the park. They are comfortable and resistant to the most harsh weather conditions. 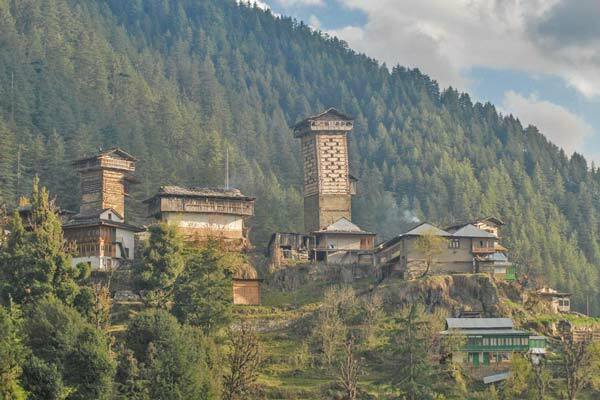 See accommodation in Great Himalayan National Park for detailed information about accommodation in GHNP. Great Himalayan National Park does not have any hotels or homestays inside the park. Tents have to be carried by porters for stay inside the park. Great Himalayan National Park has hotels outside the park. You will likely stay at these hotels at the start of your trek and at the end. We will arrange hotels or home stays for you at the start and end of the trek depending on your preference and budget. There is also a government managed very basic Sai Ropa Tourist complex in the Tirthan valley. It is about 30 minutes from the start of the trek at Gushiani. It has comfortable rooms and a dormitory. Bookings can be arranged. 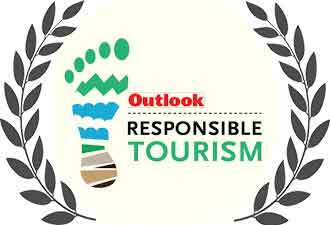 However, there are other more convenient homestays and smaller hotels closer to the start of the trek. 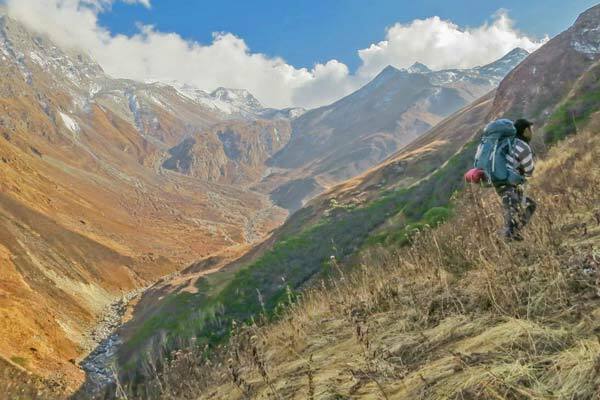 Great Himalayan National Park offers several treks and hikes lasting from 1 day to 10 days.